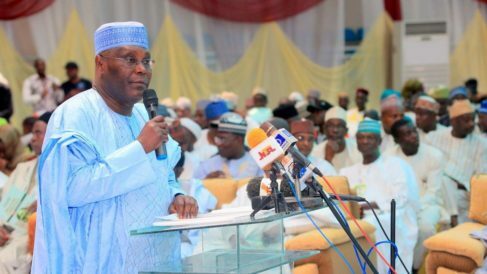 Former Vice President Atiku Abubakar yesterday alleged being sidelined by President Muhammadu Buhari’s government which he said he helped into power in 2015. In an interview on the Hausa Service of the Voice of America, (VOA), Atiku said such treatment was being meted out to him despite his efforts in making sure that the Peoples Democratic Party (PDP) was defeated in 2015. The former vice president spoke from Yola in Adamawa State where he celebrated the Eid-el- Kabir: “Honestly speaking, I’m still a member of the All Progressives Congress (APC); I was part of all the processes, including campaigns until success was achieved. “The ruling government has failed on many fronts. Yes, there were successes but not comprehensive success because the Boko Haram miscreants are still very active, killing our people, and many local government councils in Borno and Yobe states are under their firm grip. People cannot dare go back to their dwellings. “This thing baffles me; I never imagined that Nigeria will fight a protracted battle with Boko Haram for five years. At a time, we fought the Biafra war, which was more complicated because of the terrain in the south but the Biafran soldiers were roundly subdued in 30 months. But here we are, fighting an endless battle with the Boko Haram and there’s no end in sight,” he said. Only time will tell.. The fall of APC will be so massive.. Watch out.. The impact will be far more than that PDP..